Our Founder | Citation Oil & Gas Corp.
FORREST E. “EDDIE” HARRELL, SR.
Eddie grew up in Shreveport before moving with his parents to Arkadelphia, Arkansas. There he attended Arkadelphia High School. Upon graduation, he enrolled at the University of Texas at Austin where he studied petroleum engineering and enjoyed an active social life as a member of Sigma Phi Epsilon fraternity and the Texas Cowboys. He graduated in 1958 with a Bachelor of Science degree in Petroleum Engineering and joined Humble Oil & Refining Co. (Exxon) as a reservoir engineer. After six years with Exxon, Eddie joined Tenneco Oil Company, where he held several engineering and management positions, ending as Manager of the Economics and Planning Department. He then joined Transocean Oil, Inc. as its Financial Vice President and, after a three-year tour with Transocean’s parent company Vickers Energy, was named President and CEO. Transocean was sold to Mobil Oil in late 1980. Rather than continue with Mobil, Eddie founded Citation Oil & Gas Corp. in 1981. Under his leadership, Citation grew in its early years through a focused approach of acquiring mature, long-life, domestic oil properties from the major oil companies. The company continued its growth through the subsequent leadership of two of his three sons and today is one of the most successful privately held oil and gas companies in the United States. Eddie was highly respected by his peers. He served in board positions and leadership roles in many corporate, professional, civic and charitable organizations. 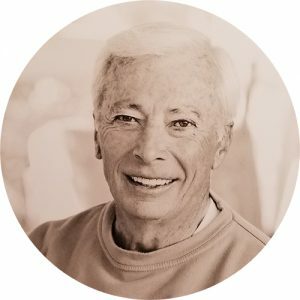 He had a passion for golf and was an early member at Champions Golf Club. He was also an avid long distance runner and loved thoroughbred horse racing, where in partnership with his wife and sons, owned multiple graded stakes winners. He reached the pinnacle of the sport when Materiality won the 2015 Florida Derby and then went on to race in two legs of the Triple Crown – the Kentucky Derby and the Belmont Stakes. Most of all, Eddie loved his family – a proud husband to his bride of 57 years, a proud father to his three sons and a proud grandfather to twelve grandchildren. He was a man of impeccable character and strong faith. His leadership and strong presence were the foundation of Citation Oil and Gas Corp. and continue to influence its success and strategic direction to this day.